This warranty is void unless a veterinarian at Southeast Animal Hospital of San Antonio, TX examines this puppy within three days of purchase. Excluded days are Sunday and all Federal Holidays. LIMITED 7 DAY PUPPY WARRANTY Your puppy is provided a limited 7 day warranty against diagnosed viruses. Within 7 days following your purchase, should a veterinarian diagnose this puppy with a virus listed below, you may bring your puppy to Southeast Animal Hospital of San Antonio and all reasonable diagnostics and treatment related to the virus will be performed at no cost to you, up to the original purchase price of the puppy. You must notify Royal Pet Palace of San Antonio within 24 hours of the diagnosis being made. This warranty makes no provision for veterinary services or their related costs if provided by a veterinarian outside of Southeast Animal Hospital of San Antonio, including emergency services and costs. We must exclude any medical treatment or services which Southeast Animal Hospital is not capable of providing. Viruses covered by this Limited warranty are Parvo, Distemper, Hepatitis and Canine Influenza. 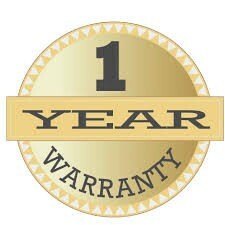 Your Puppy is provided a limited one year warranty against congenital conditions. A congenital condition is one that develops not from the family history or genetics, but from influences which occur while the puppy was still in-utero. Whether due to environmental factors, the health or condition of the mother, or for unknown reasons, a fetus may develop an illness, disease, condition or other abnormality that may be present when the puppy is born or may develop during its lifetime. Within one year following your purchase, should a veterinarian diagnose this puppy with a congenital condition, treatment for congenital conditions (including surgical conditions) which Southeast Animal Hospital of San Antonio can treat in its office will be performed at 50% discount for up to one year following the purchase. Should treatment not be viable for congenital condition, Royal Pet Palace of San Antonio will replace the puppy with another puppy of your choice with a purchase price not exceeding the original purchase price. conditions are hip dysplasia, hip and shoulder confirmation associated with breed standard requirements, demodicosis, and respiratory tree abnormalities. Royal Pet Palace of San Antonio will replace your puppy with another puppy of your choice with purchase price not exceeding the original purchase price should your puppy have a life threating issues related to the hereditary condition. This Express Limited Warranty IS IN LIEU OF AALL OTHER WARRANTIES, EXPRESS OR IMPLIED, INCLUDING WARRANTY OF MERCHANTIBILITY AND FITNESS FOR A PARTICULAR PURPOSE. By my signature below and above I acknowledge that I have read, understand and agree to this puppy warranty & NO CASH REFUND POLICY as stated above and that no other agreements or exceptions have been made verbally or in writing concerning this agreement. Contact Southeast Animal Hospital at 210-534-4300 to schedule your FREE initial veterinary examination within 3 business days of today! !